Fawn Fitter has written about careers and workplace issues, as well as many other topics, for dozens of publications ranging from Computerworld to Cosmopolitan. After a bout of major depression left her unable to work for several months, she discovered that many people were, like her, struggling with concerns about how to integrate the illness into their working lives. That experience inspired her to write Working in the Dark. A freelance writer for more than a decade, Fawn is an active member of both the American Society of Journalists and Authors and the National Writers Union. She is a former newspaper reporter and has a B.S. in journalism from Boston University. She lives and works in San Francisco. Interviews and media requests: authors@workinginthedark.com. Beth Gulas has frequently worked with employees in crisis as a specialist in corporate critical intervention. Many of the anecdotes in Working in the Dark are drawn directly from her practice as president of WorkForce Management, a consulting firm specializing in helping companies anticipate, evaluate, and manage change. Her client list includes well-known companies like Fidelity Investments, Polaroid, GTE, and Merrill Lynch as well as small entrepreneurial ventures. In addition to her 20 years of experience in human resources, business, and management, Beth is licensed as a mental health counselor in Massachusetts and holds a graduate degree in counseling from Ohio University. She lives and works in Wellesley, Mass. and Los Angeles. 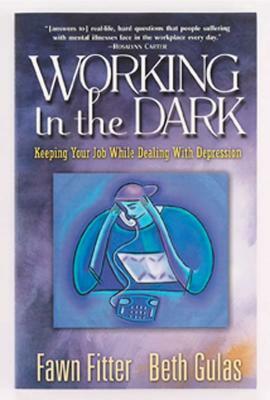 Interviews and media requests: authors@workinginthedark.com.